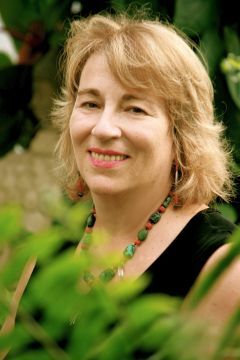 Dr. Leslie Korn is a researcher, educator and clinician-healer specializing in complementary/alternative medicine (CAM) and indigenous healing methods, who has been conducting research in the Bahía de Banderas and Cabo Corrientes regions since 1973. Having practiced Nutritional Therapy, Polarity Therapy, and Massage and Bodywork for 10 years before she returned to graduate studies in conventional methods, Leslie now integrates the best of both worlds. Dr. Korn has a PhD in Behavioral Medicine from the Union Institute, a Masters degree in Public Health from Harvard, where she specialized in tropical medicine, a Masters degree in Health Psychology, and was a Clinical Fellow and Faculty in Psychology and Religion at Harvard Medical School where she taught CAM for the treatment of PTSD. As director of research at the Center for World Indigenous Studies, a non-profit American Indian organization, Leslie focuses on the intersection of indigenous science and biomedical science and the revitalization of traditional foods and healing methods of west Mexico and the Pacific Northwest and leads cooking, health and healing seminars. As a 2009-2010 Fulbright scholar in Mexico, Dr. Korn is exploring the effects of tourism and development on indigenous women's medical practices. The co-author (with Dr. Rudolph Ryser) of Preventing and Treating Diabetes, Naturally: The Native Way (DayKeeper Press, 2009) and Medicinal Plants of the Jungle/Plantas Medicinales de la Selva (DayKeeper Press, 2010) Leslie is married to a gentle spirit, and has 3 fabulous stepsons and 2 magical canine retrievers. Get off the gravy train and get on the fresh food for your dog bandwagon. Pets need fresh food just like we do. Instead of feeding your pal the SAD (Standard American Diet) that makes you sick, prepare fresh proteins and vegetables with some good fats mixed in, and they'll howl with joy. Mangoes are considered the queen of fruits, and with good reason! Rich with vitamins and minerals, the fruit is filled with fiber, which reduces cholesterol and lowers the risk of gastrointestinal cancer; and its rich fount of antioxidants help protect you from heart disease. Join the Puerto Vallarta Garden Club at Incanto on March 15 from 5-6 pm for a cup of Capomo and a special presentation by Dr. Leslie Korn, who will talk about her most recent book, 'The Good Mood Kitchen,' and share secret remedies derived from local plants, fruits and vegetables. The Bonito Kitchen is a hidden gem of a Puerto Vallarta restaurant that is not to be missed. It's just a corner off the beaten path and that makes it all part of the adventure when you arrive, panza-ready, for a tasty, nourishing meal that you will not soon forget. Science has confirmed the dangers of non-steroidal anti-inflammatories (NSAIDS) but what are reliable alternatives to treat pain and inflammation that co-occurs with depression and PTSD? Dr. Leslie Korn gives us effective natural alternatives and a recipe for turmeric tea. Historically, indigenous and traditional societies use psychoactive plants in the context of a community-based ritual. Under these conditions, the community and the ritual provide the setting to support the process of initiation and healing experienced by the participant user. Following up on her last book, 'Nutrition Essentials for Mental Health: A Complete Guide to the Food-Mood Connection,' Dr. Leslie Korn's newest book, 'The Good Mood Kitchen: Simple Recipes and Nutrition Tips for Emotional Balance' has been published and is available for pre-sale. Jose Garcia Lorenzo, who has been building palapas in Yelapa for many years, needs our help to pay for two operations. Even those who don't know him, but love Yelapa, are asked to donate, so that he and his family can be cared for the way he has always cared for others. Jamaica, a medicinal hibiscus flower and member of the Malvaceae family, makes a delicious red drink that is a very accessible and inexpensive source of vitamin C, calcium and powerful antioxidants. It is also used traditionally in Mexico as a medicine to reduce fever during colds. I first learned about the use of foods and plants for healing when I lived in the jungle where there were no doctors. I relied on the women of the village to help me navigate the subtropical diseases I encountered, along with the accidents, bites, and maladies no one could name. In her latest book, 'Nutrition Essentials for Mental Health: A Complete Guide to the Food-Mood Connection,' Dr. Leslie Korn provides clinicians with a practical guide to the complex relationship between what we eat and the way we think, feel, and interact with the world. Last week the Vallarta Botanical Gardens hosted a 2-day festival celebrating Chocolate, also known in the Nahua language as 'Xocolatl,' and I was honored to participate. Here are some lesser-known facts about the benefits of chocolate, and its traditional use in the Banderas Bay region. Many of us use turmeric in cooking and as a supplement as an effective and natural anti-inflammatory. While there are great quality supplements available, they can be expensive. Here's an easy recipe using the turmeric root or powder to make healthy Turmeric-Chai Tea. Thousands of years of civilization continue in western Mexico even as a few generations of newcomers have joined in the region. The great Nayari, Xalisco, Chichimec and Purépecha societies living today have a deep heritage in this land as well as other Latin American countries. Dr. Leslie Korn's new bilingual book, 'Medicines from the Jungle/Medicinas de la Selva,' is now available as an eBook for iPad or hard copy at the Puerto Vallarta Botanical Gardens. This full-color book was written in collaboration with her friends & colleagues in Yelapa, Cabo Corrientes. Long time resident Leslie Korn has published her 2nd book, 'Rhythms of Recovery: Trauma, Nature and the Body.' Influenced by her 25 years of work in the Banderas Bay region, the book provides a comprehensive approach to the treatment of traumatic stress using natural medicine. While there is plenty of shopping in Puerto Vallarta, there are few galleries as eclectic, affordable and as worthy of your time and inspection as Galería Coppelia in el Tuito. The many different arts and crafts items displayed there will surely find their way into your hands. Leslie Korn, PhD, MPH, explains traditional indigenous uses of passionflower, including its use for health problems like dysentery (diarrhea with stomachache), neuralgia (aching nerves), painful menstrual cycles, heart palpitations, mental fatigue, high blood pressure, and more. The coconut provides an edible kernel or seed, water and oil; all three serve as a rich source of nutritious food and medicine. The coconut is easily digested, rich in nutrients and minerals, and antibacterial, antifungal, antiviral, antiparasitic, and antioxidant. The calyces of the Jamaica plant are used traditionally as a refreshing beverage called 'Flor de Jamaica.' It is also used traditionally in the Bahía de Banderas as a medicine to reduce fever and during colds and to provide nourishment during illness. Center for World Indigenous Studies Chairman Rudolph Ryser has been awarded a Fulbright Scholar grant to conduct research in western México and deliver lectures at the Universidad del Valle de Atemajac (UNIVA) in Puerto Vallarta, Mexico during the 2011-2012 academic year. Capirotada is a traditional Lenten food that is both a sweet and savory baked desert made from stale bread, piloncillo, cinnamon, raisins, nuts and often, cheese. The name derives from the word 'Caperuza,' ostensibly because its bubbling cap of cheese suggests a friar's hood or cowl. Gondos (Ardisia compressa Kunth) are an oft-overlooked endemic berry that grows prolifically in the cerro of Puerto Vallarta and Cabo Corrientes. The yellow flowers arrive in late winter and slowly bear fruit that is ready to pick just about now as we enter springtime. One morning Jose Lorenzo Garcia and I set off to collect Capomo Moraceae seeds. Campo has served as a 'famine' food for the Maya and others in the past, and it could serve in the future as an important resource for food security as environments are altered due to climate change. Leading a team of massage therapists, Dr. Leslie E. Korn, has invited rural women residents in Cabo Corrientes to participate in the Cabo Corrientes Medical Massage Project (CCMMP) beginning in January 2011. Chaya, also known as "tree spinach," is one of the richest sources of nutrients among all the leafy greens with high levels of protein, calcium, potassium, iron, and carotene. It has shown glucose-lowering capacity in the lab and thus may be useful in preventing diabetes. Knowledge about the health benefits of cinnamon is increasing every day. Cinnamon has been shown to have positive effects on diabetes, stomach ulcers and high cholesterol. In fact, scientific results conclude that consuming 6 grams a day of cinnamon or less will lower cholesterol. Many indigenous foods of Mexico provide both nutrients and medicines for the body and mind. One of the most remarkable plants originating in west Mexico is Chian, a species of self-pollinating, flowering plant in the mint family that is native to central and southern Mexico and Guatemala. I often long for the old Vallarta of the early 70's. So when I need to revisit some of the flavor and feel of old PV I inevitably wend my way through the streets of Pitillal in search of an evening of dancing in the square, coconut atole and meals at one of the many corner fondas.